NewImage Entertainment is is your choice for DVD/CD duplication. Have your special moments transferred to DVD or CD. NewImage will take your old Records/VHS/HI-8/ tapes and make crystal clear CD's/DVD's for your enjoyment. If you have a meeting, presentation, wedding event, anniversary party, or an exciting game you want to keep forever on CD/DVD ...NewImage is your perfect choice to trust your favorite moments. 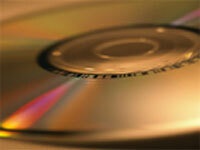 Please send us a detailed email regarding your CD/DVD project. You can do so by using the contact us or by clicking on the Dj Bryant storefront link from cafepress below.